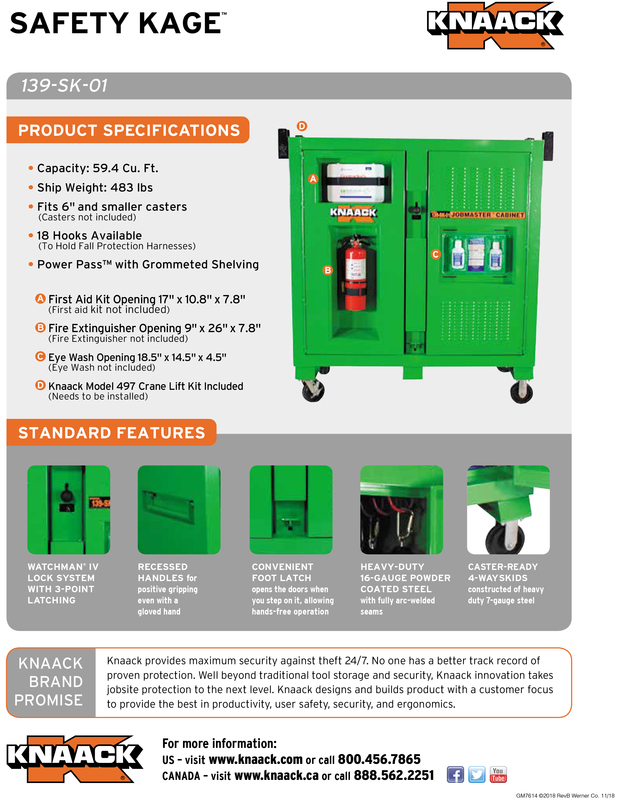 Knaack Model 139-SK-01 Safety Kage™ Cabinet, 59.4 cu ft - Industrial Ladder & Supply Co., Inc. 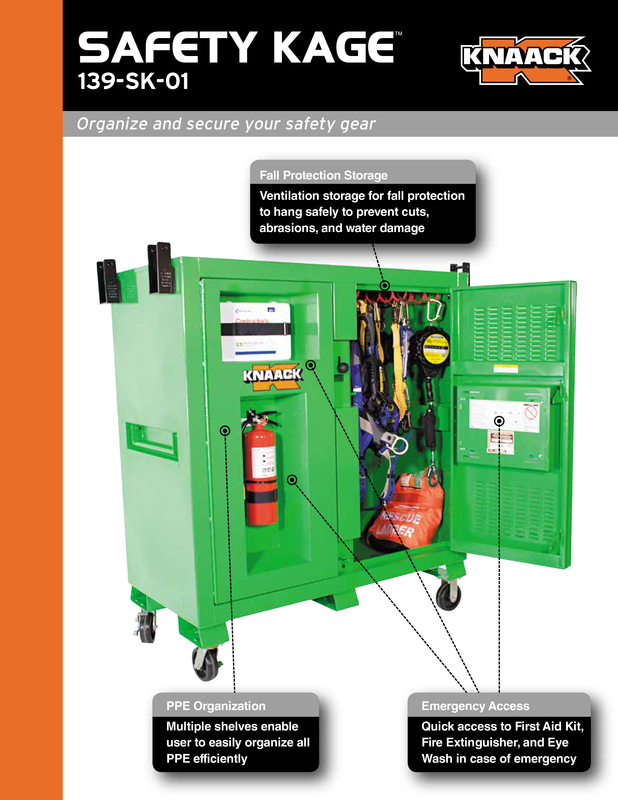 The Model 139-SK-01 Safety Kage™ cabinet is an Industry First, one-stop-shop for Jobsite Safety. The interior of the cabinet houses ample secure storage space for all types of fall protection and personal protection equipment. On the right side of the cage are hooks to hang fall protection equipment (harnesses/lanyards/lifelines/ropes/etc). On the left side of the Kage there are 3 shelves to store hard hats, vests, and gloves. The top shelf has cubby holes to store smaller safety items such as ear plugs, safety glasses, and dust masks. The exterior of the cabinet has protected storage for a first aid kit, fire extinguisher, and personal eye wash station.